PHUKET: The number of Chinese tour groups arriving in Phuket is down by half over safety worries and serious efforts are needed to restore confidence and bring them back, the Phuket Tourism Association has warned. Association president Phumkit Raktae-ngam said today (Oct 3) that the Phoenix boat disaster had a major impact on the feelings of Chinese people and had put them off visiting Phuket. On July 5 the tour boat Phoenix capsized off Phuket during a storm and 47 Chinese tourists drowned. “About 50% of the tour groups are not making their normal arrivals. Chinese tourists have stopped visiting Phuket because they are worried about their safety,” Mr Phumkit said. The government needed to increase human resources to ensure public safety and communicate better with Chinese visitors. Communications from the Chinese government might not effectively reach its people, he said. With increased guarantees of their safety, the vanished Chinese tour groups were likely to return within six months. He added that the number of tourists from Europe, Russia, India and the Middle East visiting Phuket were rising. For the vegetarian festival from Oct 9-17, the hotel occupancy rate was 65% in Phuket and 50% in downtown areas, Mr Phumkit said. Is it any surprise ? The Chinese tourists have been treated  as another method of ripping off tourists. The two price menu, one for locals and one for the Chinese in Phuket town etc is just one of many where they have been "taken". Sadly some have lost their lives or been  involved in accidents its not surprising if they look elsewhere. It must be extremely important to conclude who was or were responsible for taking th Phoenix out in dangerous waters. If it was the Chinese owner that should be told to the Chinese public, that their own peoples greed caused the horrible accident, if so. @ Discover Thainess - yep, and add that the ocean is getting a bit of a reprieve as the seafood buffets all over Phuket Town currently don't have 15-20 double-decker buses unloading the improperly dresses rubes rushing in to cram as much seafood into their faces as humanly possible. Phuket needs to target better tourists. It is good to see that at least one country is concerned about safety for their citizens, while Phuket officials still do not have a clue or a plan to fix many problems: sewage flowing into sea, unsafe and flooding roads, unsafe boat and buses, ripoff scams jet skis, taxis, lack of lifeguards and tourist police, lack of beach services for tourists and many more. Good luck for the future. Chinese diplomats are angry and feel bad coz of the lies and false safety guarantees of Phuket Officials. They 'feel a loose face thing', something sure thai will understand. 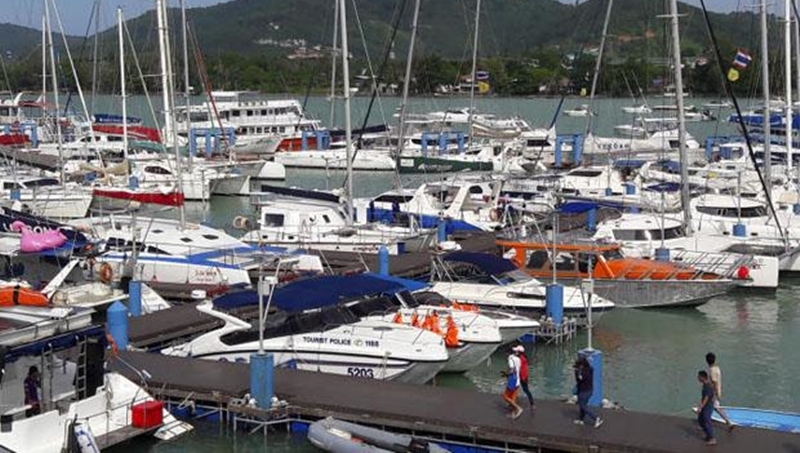 Now Chinese Officials warn their citizens not go unsafe Phuket. No safe boats ( explosions/fires), no safe busses (brakes), no safe minivans ( hitting constant concrete poles with sleeping drivers). Marvellous news, traffic is actually moving again at the moment without all the buses charging around. I wonder if Road deaths are down as well this month - let’s hope they stay away forever.